We worked hard for 798 days to bring back the 230,000 strong "Jews" page, which is now back! 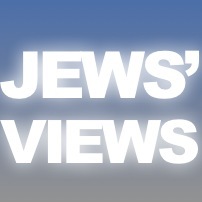 It's now the Jews' Views page, and we urge you to "LIKE" it and share it, as lots of exciting things will be happening there! It is, however, a shame because the page lost about 20,000 fans in the 798 days that Facebook was censoring it, and not responding to the thousands of people asking why. We've posted extensively about Facebook censoring Jewish and pro-Israel communities, and other major issues on the platform, especially facing Jewish and pro-Israel activists. Why did the "Jews" page lose its admin privileges? Turns out, our suspicions were correct. You see, there was a rule created on Facebook stating that people cannot create pages with "generic" names. Well, the "Jews" page was created well before that rule! And there's plenty of "Muslims" pages and "Christians" pages, and "Hindus" pages, etc., whose admin privileges are not removed. Seemed like a clear case of discrimination to us (and the attorneys we spoke to). We're glad it never had to come to that. It's just a shame it took so long to finally get a hold of a human being that would address our concerns, and help! But we, and the admins of the "Jews' Views" page are very thankful to the handful of folks at Facebook we were able to get a hold of and who actually listened and helped. Are things changing at Facebook? We hope so. We're currently dealing with a mass defamatory spam campaign against many good Jews and Israel supporters, and we're sincerely hoping that Facebook will see it for all the TOS violations it is. We shall see. In the meantime, we again urge you to please LIKE and SHARE the "new" page to help reclaim what was lost, as we're sure it would have well over a million fans by now, had it not been for the 798 day restriction! Also, please consider supporting our strong Jewish and pro-Israel effort! You can see the options, by clicking the banner, below, or simply PayPal to: admin AT THEjidf.org. Thank you for your friendship, support, and consideration!